Researchers have discovered a veritable microbial oasis, under the Atacama Desert in Chile. 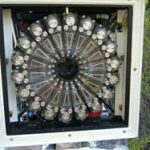 The region is known for the Atacama Large Millimeter/submillimeter Array (ALMA), but the discovery of a hypersaline subsurface microbial habitat, associated with halite-, nitrate-, and perchlorate-containing salts, lying at a depth of 2m in the driest desert on Earth will give scientists more reasons to visit the region. It was named a microbial oasis because the microorganisms were developing in the habitat rich in salts and other hygroscopic compounds. The researchers, led by Victor Parro, published their findings in the journal Astrobiology. To find this oasis, researchers used a Signs of Life Detector (SOLID), which was developed by the team for future missions on Mars. At the core of SOLID, there’s a biochip called LDChip, which includes up to 450 antibodies to identify biological material, such as sugars, DNA, and proteins. They’ve confirmed the presence of underground archaea and bacteria in the Atacama Desert and some of the microorganisms were brought back to life in the lab when supplied with water. If there are similar traces of life on Mars, instruments such as SOLID could detect them. 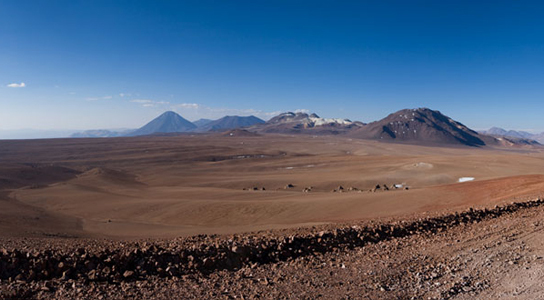 Be the first to comment on "Microbial Oasis Discovered Under Atacama Desert in Chile"